A relatively new herbal extract known as Ampelopsin, commonly called Dihydromyricetin or DHM is making waves in hangover cure supplements markets. Several supplement companies have started creating products in response to popular research that has shown that it reduces symptoms of alcohol intoxication, reduces damage done to the liver, and, most importantly, prevents hangovers. I originally came across dihydromyricetin, an extract from the japanese raisin tree – otherwise known as the Holvenia Dulcis – two years ago after reading a feature in New Scientist magazine about it. Originally a Chinese herbal tea, dihydromyricetin has been taken for centuries as a hangover remedy and headache healer in rural villages. It wasn’t until a pharmacologist from the University of California, Los Angeles, called Jing Liang led a team of researchers to effectively get rats (very) drunk and then test dihydromyricetin extracts on them, that it became apparent and well known that there was real merit in DHM and it’s potential as a hangover cure. ome (AWS), physical and psychological dependence, and the loss of ability to control excessive drinking. Jing Liang’s popular study, entitled “Dihydromyricetin As A Novel Anti-Alcohol Intoxication Medication” detailed how dihydromyricetin counteracted alcohol (EtOH) intoxication. Liang and her research team first tested whether Dihydromyricetin blocks the clumsiness and loss of coordination caused by drinking too much. After she injected rats’ abdomens with a dose of alcohol proportionate to the amount a human would get from downing 15 to 20 beers in 2 hours by a human. When DHM was mixed into the alocohol solution, they found that the rats didnt get drunk in the first place.How did they know they were drunk? Well, they tested the “Lighting reflex”. The rats have a natural reflex to flip from their back to front when placed down this way. So the researchers set the bar at when the rats stopped doing this flip. The researchers tested the rats blood at intervals after giving alcohol on its own and with DHM. They found that when they gave DHM with alcohol, the rats blood was clear from alcohol much faster. They found that when DHM was given with alcohol, the rats naturally didn’t go after more alcohol to get more drunk. Whereas without the DHM, they seemed to like the effects of alcohol and go after it more and more. More research has been carried out on the extract since Liang’s studies and the findings are even more impressive: it turns out that dihydromyricetin is actually hepatoprotective, for instance, meaning that it has the ability to reduce the amount of liver damage caused by alcohol. Clearing free radicals in the body and antioxidation. Protecting the Liver: Dihydromyricetin has the strong inhibitory action of the rise of ALT and AST in the blood Serum. Reducing the levels of blood sugar and blood fat: Dihydromyricetin can reduce the blood fat levels in the mouse. It can decrease the damage to liver cells caused by the high blood fat levels and improve the antioxidation ability. At the same time, it can lower the levels of high blood sugar. 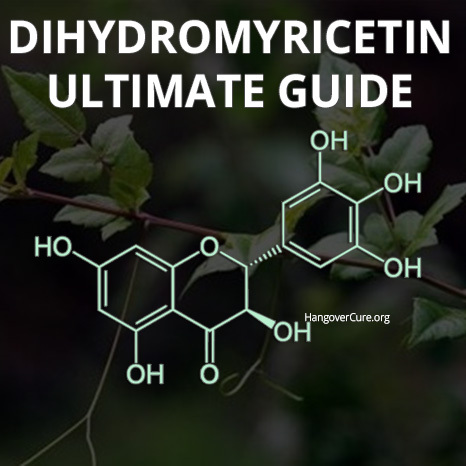 Dihydromyricetin has a few different names, some describing different forms of the extract and some describing the plant that it is derived from (DHM is an extract from the Holvenia Dolsis tree, as mentioned above). Holvenia Dulcis ~ another name for the oriental raisin tree that the dihydromyricetin compound is extracted from. 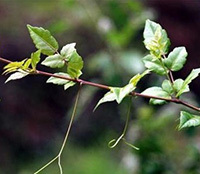 Dihydromyricetin/Ampelopsin can also be found in other plants except for Holvenia Dolsis, the major ones being Catha edulis (commonly called “khat” – a popular recreational drug) and Cayratia trifolia. To fully understand the way Dihydromyricetin helps your body in negating/preventing the effects of alcohol, we must first understand how the body processes and metabolises alcohol. When we drink alcohol, it enters our bloodstream through the stomach and intestines. Our blood is then filtered through the liver, where alcohol is broken down (metabolised) and removed from the system by breaking it down into different chemicals. One of the chemicals that alcohol breaks down into is a toxic byproduct known as acetaldehyde. Acetaldehyde is up to 20-30 times more toxic to the body than alcohol. In fact, research has suggested that most of the hangover symptoms you get are because of a build-up of acetaldehyde! Your body is only able to break down alcohol at a certian rate. That rate is actually 1 drink per hour. If you have more than 1 drink an hour, you’ll get drunk. Which is pretty obvious right. However you’ll also get a buildup of toxic acetaldehyde at the same time. Which is why the more you drink, the worse the hangovers get. Dihydromyricetin improves the ability of the liver enzymes to break down alcohol. DHM basically makes them work faster and clear more alcohol from the system. Therefore the less buildup of acetaldehyde you have in your body. This means that if you take DHM before bed it will cause the liver to clear acetaldehyde from the bloodstream at a faster pace, limiting the damage it causes and preventing typical hangover symptoms. We all know that feeling after a night of drinking where you wake up to 100 messages of what happened the night before, and your memory is patchy at best. On top of that, the alcohol you’ve had is making you feel a little more delicate than usual and your anxiety levels are peaking. Well Dihydromyricetin has been shown to help reduce these symptoms. When you drink lots of alcohol, the brain activity is suppressed. This means that our main neurotransmitters which keep us alert are all subdued. namely GABA and Glutamate. When you wake up the next morning, the alcohol is out of your system (hopefully), so your brain is firing on all cylinders trying to catch up with the events from last night. In fact, Its fired up more than it was the day before. This is known as alcohol rebound effect and is the reason why you get anxiety and the shakes. Dihydromyricetin suppresses the rebound effect of alcohol by slowing down GABA and Glutamate. When DHM is taken after a long night of drinking, it basically slows down the rebound effect of alcohol which should in theory reduce the anxiety after drinking alcohol. This effect of DHM is so potent that researchers believe DHM may have promise as a treatment for the more severe alcohol withdrawal symptoms suffered by alcoholics attempting to kick the habit. But of course, a lot more research is needed before scientists can come to this conclusion. Apart from the studies and product sources mentioned in this article, Dihydromyricetin is included in most hangover pills so you can head over to Amazon and check out what people have to say about it. There have been no dihydromyricetin tests specifically testing the side effects when consumed by humans, but several insightful studies looking into the benefits have concluded that overall: dihydromyricetin is probably safe for human to use. Its been used in traditional medicine for years. As with all supplements, you should discuss with your doctor whether its the right thing for you. Herbal supplements can often interact with medications prescribed by your doctor. Can It Effect or Damage the Liver? On the contrary, DHM has been shown in research to actually act as a protectant against alcohol damage to the liver, meaning it has hepatprotective qualities. One study, headed up by a researcher named Jian Xi, called the Effect of juice and fermented vinegar from Hovenia dulcis peduncles on chronically alcohol-induced liver damage in mice showed that dihydromyricetin significantly protects against alcohol-induced liver damage. A separate study showed that dihydromyricetin also has the ability to reduce injuries previously made to the liver. Essentially, it’s a protective tool for your liver while drinking, but also useful for helping to repair the damage caused to your liver following excessive alcohol consumption. Is There A Recommended Dosage for Dihydromyricetin? The simple answer is – not really. Most hangover cure products containing dihydromyricetin use amounts between 100mg – 300mg per capsule/serving, which, depending on bodyweight and the amount of alcohol consumed, is more then enough to sober most people up (if not one serving/pill, then two will definitely do the job) while staying way under maximum recommended doses. You can purchase much higher doses if you search online, but the safety at these levels hasn’t really been tested. However, In one particular study, up to 200mg/kg of dihydromyricetin was given to rats and found to have no negative side effects. This scales up to 48.892mg per kg of bodyweight in a human, or 3422mg for a 70kg person (150lbs). How Much Does Dihydromyricetin (powder) Cost? 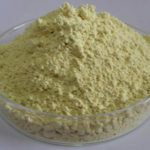 The Dihydromyricetin extract can be purchased in either pure powder form or capsule form. When looking to buy a batch of DHM powder I came across two decent sources, the Alibaba market and a website called BulkDHM. If you are looking for the cheapest source of bulk raw dihydromyricetin, the best source is always going to be a manufacturer or processor from Asia, of which there are many on Alibaba. Prices can vary depending on who you are buying from and the quality of their DHM. The main problem with buying directly from the source is quality. You want to make sure you are buying the highest quality DHM powder and that there is no impurities or harmful substances that you might ingest within the extract powder. I am not an expert on testing extracts, so I can only suggest doing some research on proper testing of substances & supplements before purchasing and ingesting any substance from a Chinese/oriental supplier. You also want to make sure that the dihydromyricetin you buy hasn’t been diluted with other substances, so make sure you go for a 99% or higher powder. Always ask for a COA (certificate of analysis) before ordering to ensure quality. Where Can I Buy Dihydromyricetin Pills Online? Most good hangover cure pills on the market today have DHM included. Its an ingredeint to look include for sure, but its also important to understand that its not the only ingredient that will help hangovers. I would say Dihydromyricetin is one of many ingredients which are really important in helping battle your hangover symptoms. You can read about other ingredients to look out for in hangover pills here. DHM is making waves in the scientific world, in particular with regards to its hangover busting properties. It’s a natural ingredient thats been used for thousands of years but only now are we utilising its full potential. It’s important to emphasise that DHM is NOT the only ingredient to look out for in your quest for the best hangover cure. There are several other potent ingredients which work hand in hand with DHM. This includes, ginger, N-acetyl cysteine, Turmeric, Milk thistle, L-theanine and B-vitamins to mention only a few. As always, it’s important to take the practical steps like eating before going out and keeping hydrated while drinking alcohol. The problem is that anyone can sell anything and call it dihydromyricetin but there is no way of knowing whether it actually is this chemical or flour powder since it’s not regulated. mg., but in the next paragraph, you state that 300 mg. is sufficient. What should an approximate dosage really be? Shouldn’t it vary depending in the weight of the individual?